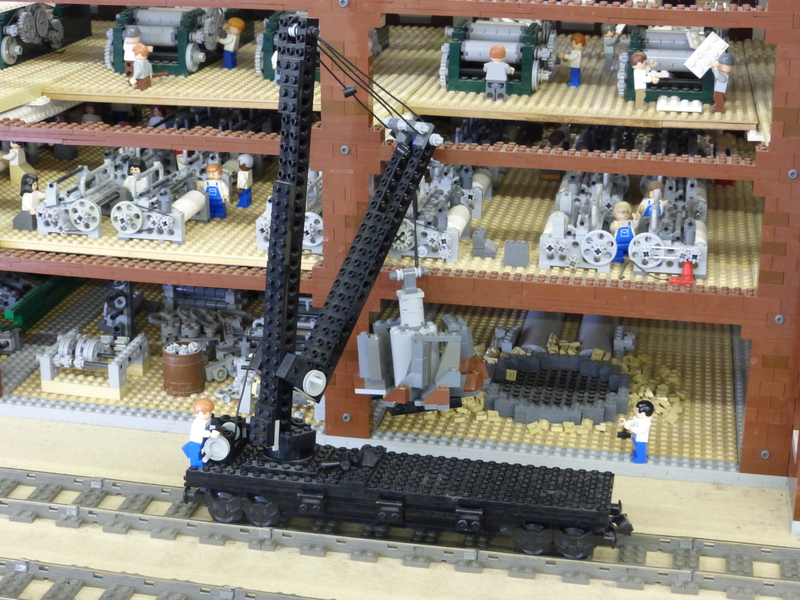 Recently I had to make a few repairs to the LEGO® Millyard Project. I put back together a train car with a crane. This piece is often handled by the public because it is in an area that has a space in the plexi-glass barrier where our staff can work to change out train motors. Why is it so important for this train car to be there? The crane is carrying a turbine and it is located near the building that is cut open for people to see inside. Just adjacent to the train car is a ‘hole’ in the basement of the building where the turbine would be. The Amoskeag Manufacturing Company (which our project represents) did not use the old vertical water wheels to power its machinery (pictured below): they used a more sophisticated system for generating water power. The dam sent water into two canals; from the canals, large penstocks brought the water to each building where a water turbine was located in the basement. The turbines were horizontal instead of vertical and they operated underwater so floods could not stop them from turning. The speed would be regulated and the energy would be transmitted to machinery throughout the building by shafts and then belts. The water would continue to flow through penstocks back into the canals and then back to the river. Water supplied an average of more than 16,000 horse power a day to Amoskeag between 1880 and 1912. In later years newer buildings were built to use steam power and then electricity. In 1923 the dam was reconstructed and a hydro-electric plant was built. I conduct a field trip program for school groups based on our LEGO® Millyard Project . 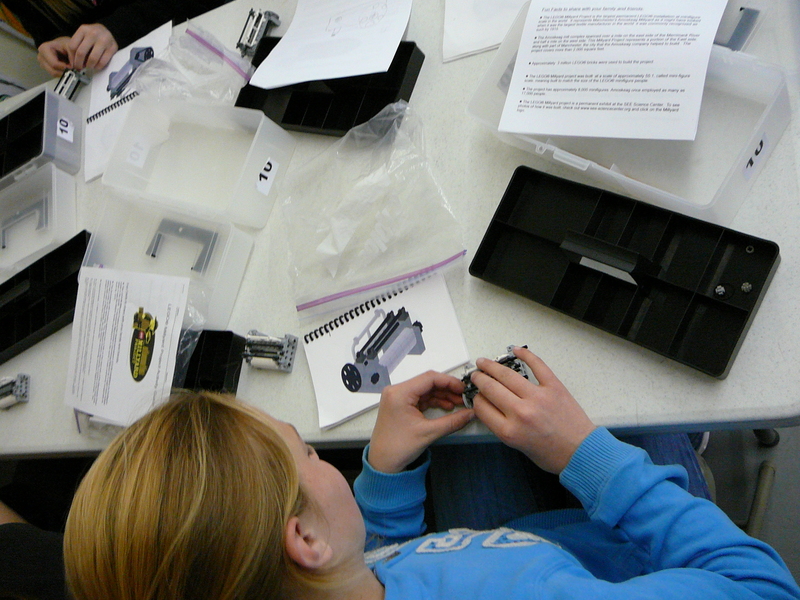 During the program students build models, look for various details in our project and learn about how technology was used and how scientists and engineers have continued to improve upon technology from the days of Amoskeag ‘till now. 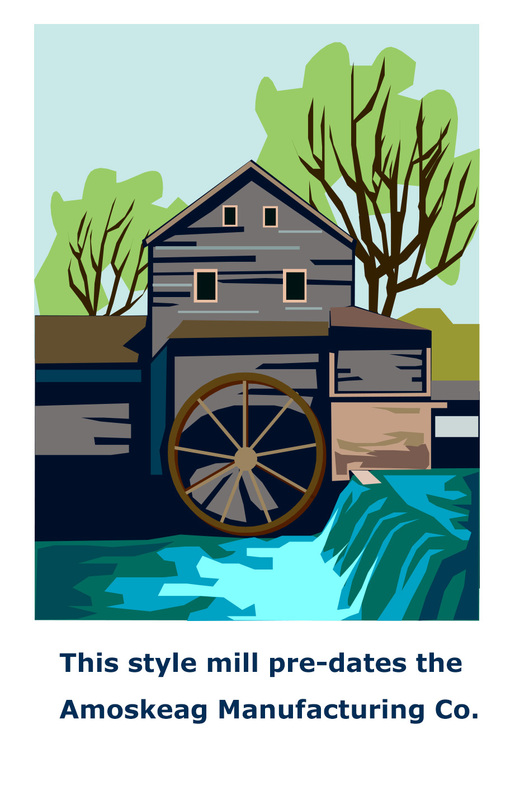 Learn more about the Millyard by visiting SEE and taking a look at the LEGO® Millyard Project (there are always more details to see) and by visiting our neighbor on the first floor: Manchester Historic Association’s Millyard Museum. SEE members receive free admission there and vice versa. 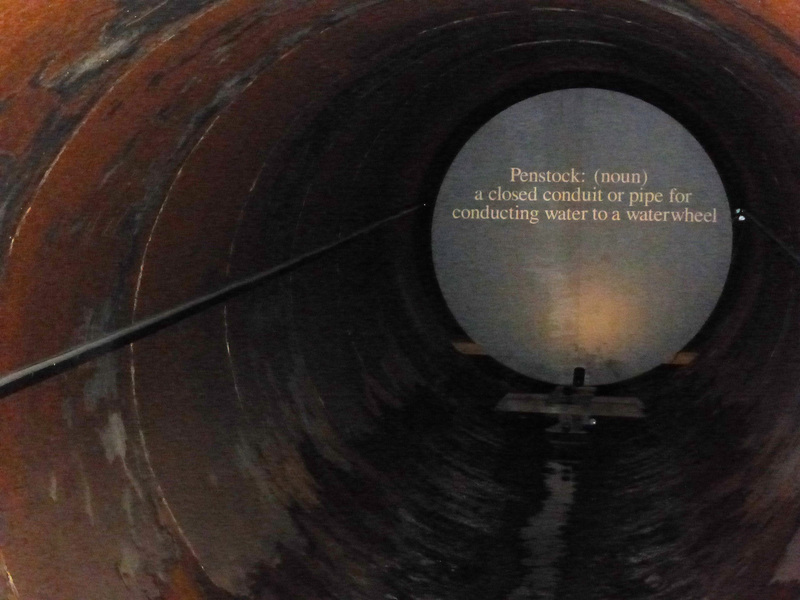 You can even see a penstock here in our building! By seesciencecenter in Uncategorized on July 29, 2013 .